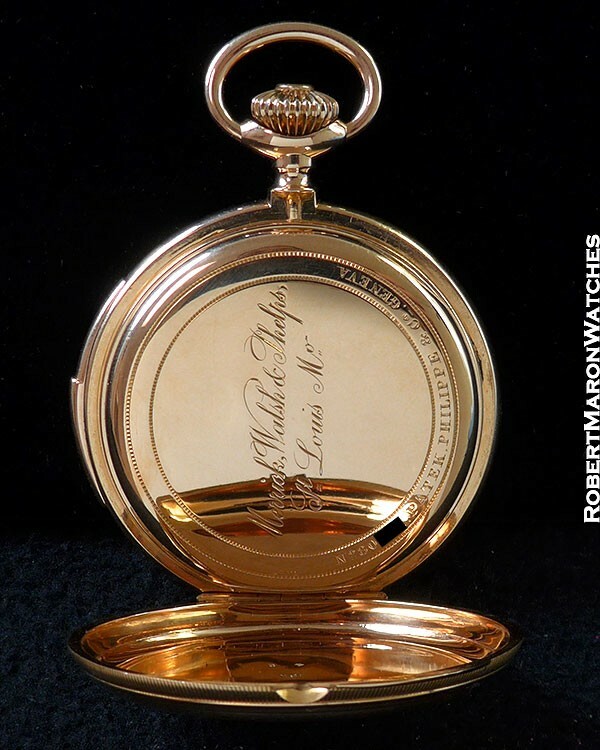 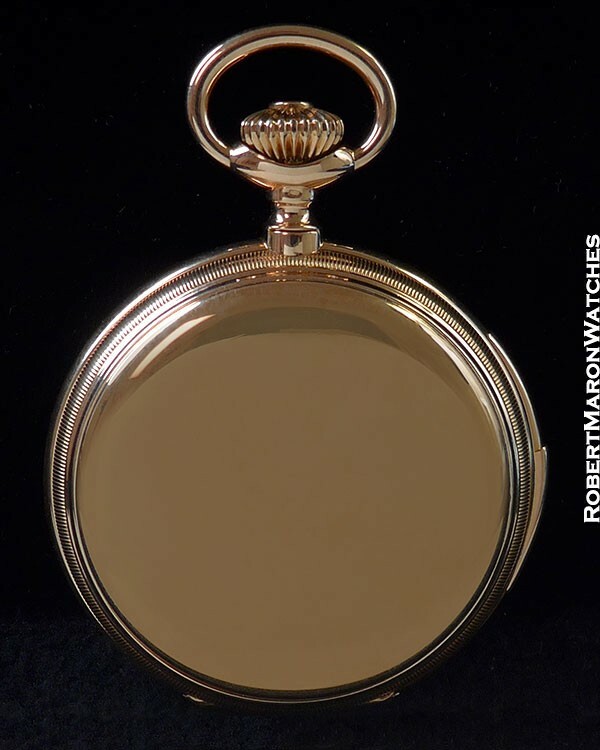 Additional Information Spectacular minute repeater pocket watch from circa 1895. 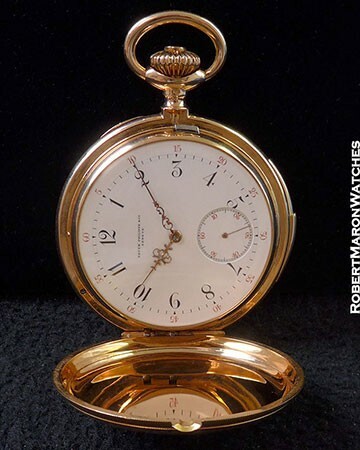 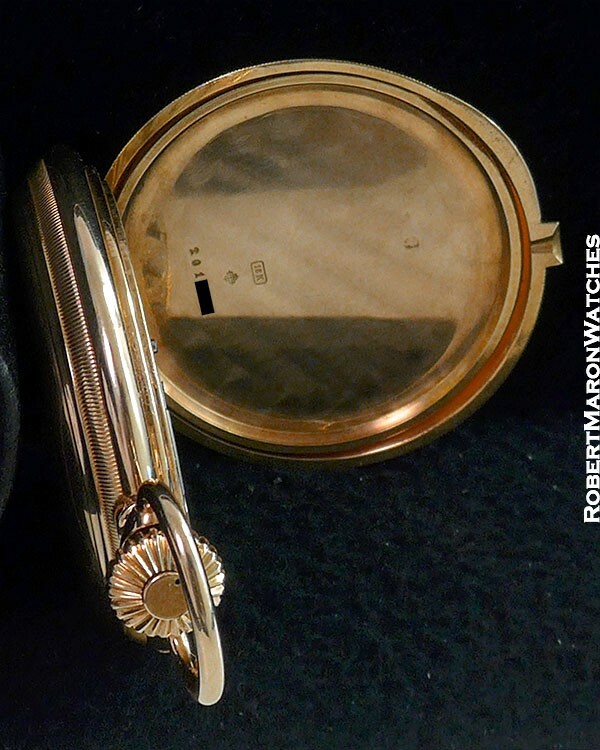 Made by Patek Philippe for Merrick, Walsh and Phelps of St. Louis. Red dial highlights and "Louis XVI" hands. 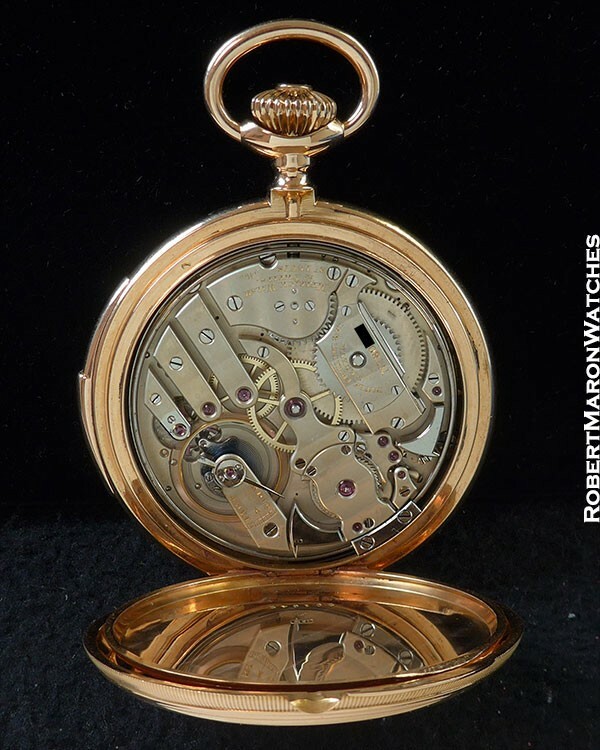 23 jewel movement is pristine, running and SOUNDING great.